During the latest years the poncho has been within the trends, but maybe some of you don’t know what a poncho is? It is actually a square shawl made of colored wool with an opening in the middle for your head. 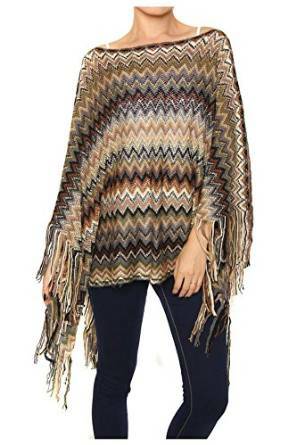 Originated from the American Indians, the poncho is a chic piece of outfit now, very comfortable, that can be worn during the colder days or nights. 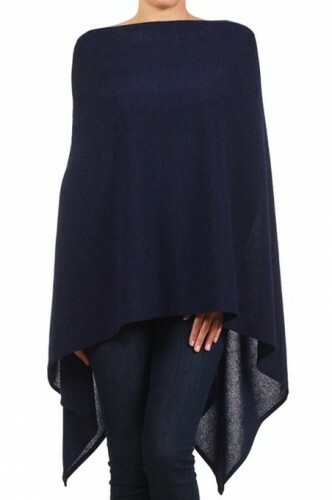 Comfortable and versatile, the poncho can bring a lot of color and originality to your outfit after being reinvented by the designers. It succeeded to overcome the boundaries of the hippie fashion, boho, and to get inside the huge casual fashion world. Although the general lines of the traditional poncho remained the same, the fashion reinvented this piece of outfit. Now there are used various fabrics for it and it became more than just a fashion statement through its colors, model or the combinations in which it is involved.